Yep, you read that right. 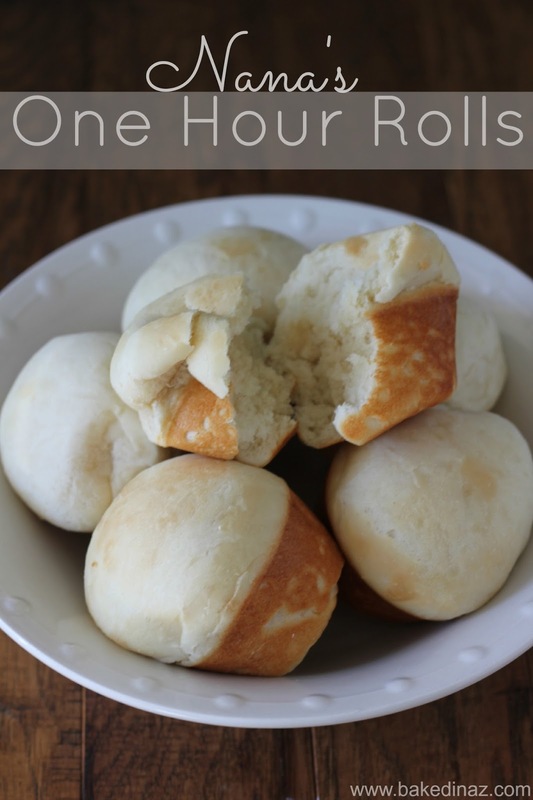 ONE hour, ONE bowl and you have homemade dinner rolls. Why have I never made these before?! I got this recipe from Logan’s Nana. She has the best recipes. She said she used to make these all the time and now I know why! I have no excuse. I will definitely be making homemade rolls more often. And it is perfect to serve with soup. My kids couldn’t get enough of them! Dinner rolls made in an hour! 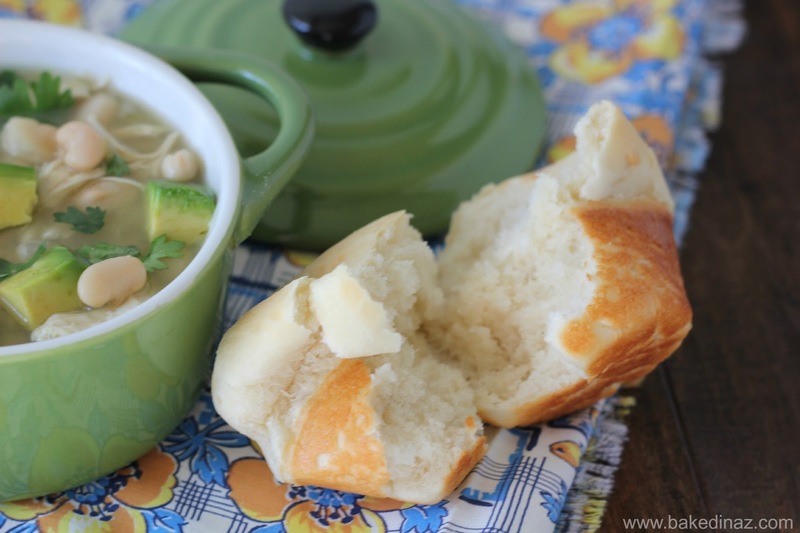 We love this easy recipe from our Nana Bond. Spray a muffin tin wit cooking spray and set aside. Soften the yeast in the warm water. Heat together the sugar, milk, butter and salt (2 minuets in microwave). Let cool. Add the yeast mixture to cooled milk mixture. Add the flour and mix. Let rise for 15 minutes. Place the dough onto a floured surface. Knead for a few minutes. Grab pieces of dough with your pointer finger and thumb then pinch off. Tuck the dough under to form a nice round top. Place in muffin tin. Cover and let rise for 15 more minutes. While they are rising, preheat your oven to 400 degrees. Brush the tops with butter then bake for 10 minutes. I like to spray my counter with cooking spray then sprinkle with flour. This makes the flour stick. This is how they should look in the muffin tin. Don’t worry if they are not all the exact same size. Just try to get them as even in size as you can. O.M.G. I am SO MAKING THESE!!! I tend to be bread-challenged but I just might be able to make these…sharing all over the place! Thanks for this recipe! Thanks Cheryl!! Hope you enjoy them! I can't believe it's that easy! I have to try this recipe for sure. Thanks so much for sharing it at Saturday Night Fever! I know, it almost seems too good to be true 😉 !! Im goin to try to make these gluten free. Hopefully it works! Let me know how it works out! That would be great! Hello. This recipe does not seem to be displaying correctly. The ingredients section is the directions to make cookies. Can you please correct this or send me the ingredients list. Thank you! Hello! So sorry about that, not sure how that happened. I fixed the recipe on the blog post. Let me know if you need me to email it to you. Happy Baking!